Composting, the benefits are obvious, reduces waste in the landfills and creates organic soil for your garden. It is so very simple, just mind a few rules and Nature does the rest. 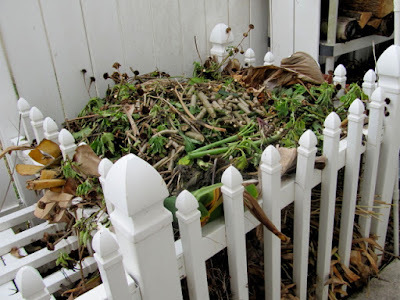 By the way, a healthy compost pile does not stink! Still, it does not look very attractive, so we placed ours at the side of the house, in the ‘utility area’ with the firewood storage and an extra rainwater barrel. Hubby turns the compost 4 times a year and each time we get at least two 28 gallon nursery posts filled with wonderful and perfect compost soil. Just the right amount for my little Myrtle Glen. 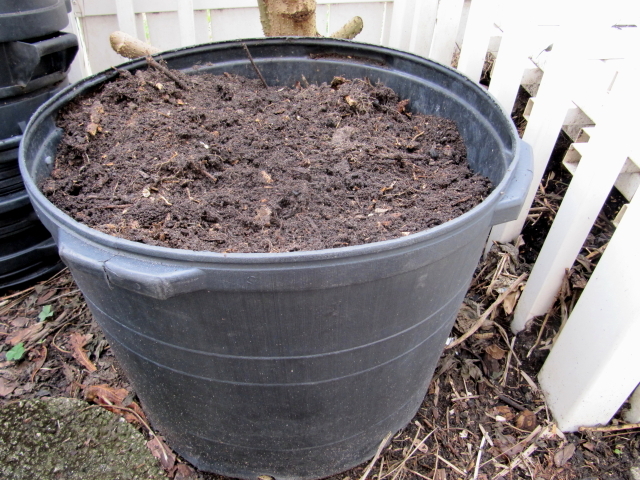 This post is about my experience composting in a suburban neighborhood on a 1/4 acre lot. Composting on a farm is a different story. 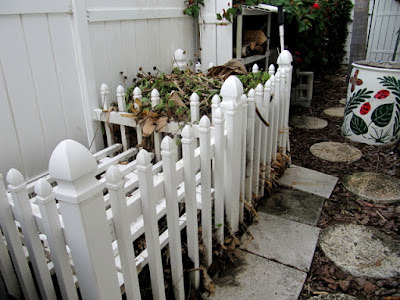 You don’t just want kitchen waste on it, but green stuff, like grass and hedge clippings, leaves (best when shredded), spent flowers, used potting soil, etc. Whenever you fertilize your garden, give some to the compost pile as well. Don’t just make a mound, this will let the water run-off, but build it like a volcano, with a ‘dish’ in the center. When you find earthworms in it, great!! When you find ants in it that is great as well.